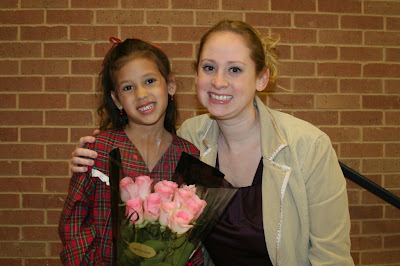 This past weekend was Ella's big recital! 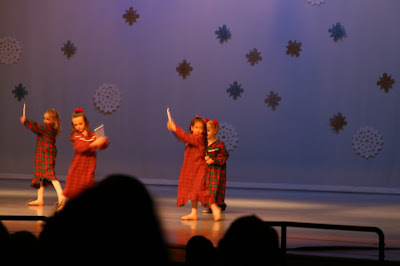 Her and several other little cuties danced to the song, "Where are you Christmas?" from The Grinch movie. 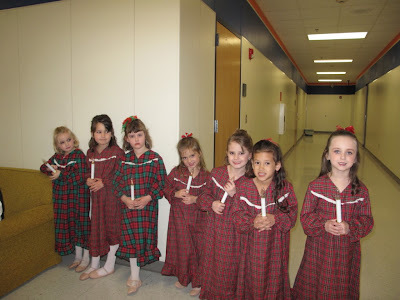 They wore these hand-made nightgowns and held candles while they danced their ballet. Ella did such a awesome job! We were so proud of her. Here are pictures from the big day! I tried posting a video and its giving me problems, so hopefully I can get it to work and post the actual performance soon! Ella and a few of her friends/fellow dancers before the show. Aren't they cute?! 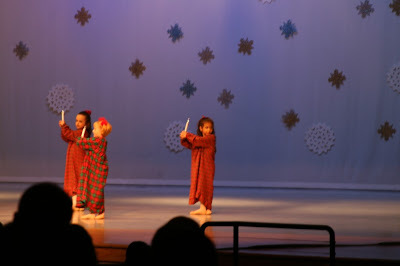 A little blurry(no flash photography allowed) but you can still see that perfect toe point:) Good form Ella, good form. 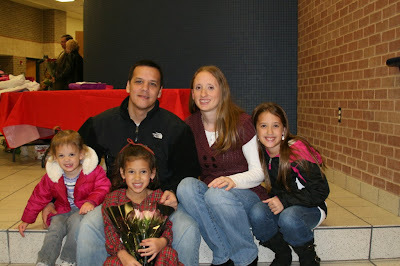 . .
Our family afterwards. And Ella holding her beautiful flowers from Daddy. Its the Daddy tradition. My sister, Tara, came out for the show. Ella was so happy to have her Aunt Tara there! After the recital, Ella picked Rosati's for dinner(our new favorite pizza spot). And on the way home we drove and looked at Christmas lights. It was pretty much a perfect evening! Great job Ella! We love you! You are such a talented and beautiful little dancer. 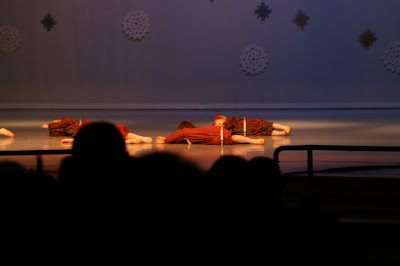 Its hard to get up in front of hundreds of people, but you did it, and you were a star! She did such a great job! I'm glad I went, thanks again for the invite. :) And that pizza place was great, too bad they don't have one of those here where I live. :( Pooey! Hi Aubrey and Cali we love you guys too. Hope your feeling better Cali and Aubrey I can't get over your picture on mommy's blog profile on the right you are so gorgeous and just getting to be such the beautiful young lady too. love you hugs, kisses and butterfly wishes. How sweet Ella is and she looks so happy! 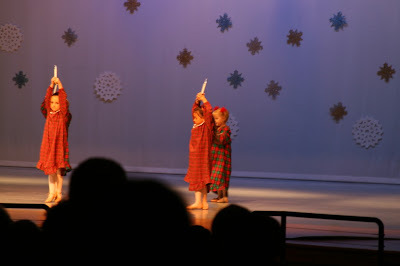 I am sure she was the best little dancer up there!! What a dear thing for her dad to do, bring her flowers. I wish my dad had done things like that. Your girls will have some wonderful memories of you two as parents. You are just the best! So cute...and very modest costumes, too. A lovely morning surprise. . .